Win a weekend getaway to any of @Chobani CHOmobile’s stops! Check them out on facebook to play! GolfShopperUSA is an online golf apparel store for stylish & fashionable golfers. Up to 75% off top-rated brands! Creative talent behind Treasured Lily Designs. Jewelry designer in Real Live, and medieval furniture designer in Second Life. 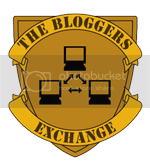 Copyright © 2010 - Money, Magic and Mayhem - is proudly powered by Blogger. Money, Magic and Mayhem Theme is created by: Web Design Company - Ray Creations and Released by - Free Blogger Templates - Ray Templates.